Troy Kell scored 28 points to lead San Diego State to an 82-75 victory over New Mexico in the Mountain West Conference tournament championship on Saturday. Malik Pope made Dunk. Assisted by Devin Watson. Devin Watson made Three Point Jumper. Assisted by Trey Kell. Matt Mitchell made Three Point Jumper. Assisted by Max Montana. Jalen McDaniels made Dunk. Assisted by Devin Watson. Jalen McDaniels made Dunk. Assisted by Malik Pope. Trey Kell made Layup. Assisted by Jalen McDaniels. Jeremy Hemsley made Three Point Jumper. Assisted by Trey Kell. Max Montana made Three Point Jumper. Assisted by Devin Watson. Trey Kell made Three Point Jumper. Vladimir Pinchuk made Layup. Assisted by Sam Logwood. Troy Simons made Three Point Jumper. Assisted by Sam Logwood. Sam Logwood made Three Point Jumper. Makuach Maluach missed Two Point Tip Shot. Sam Logwood missed Three Point Jumper. Antino Jackson missed Three Point Jumper. Joe Furstinger made Two Point Tip Shot. Anthony Mathis made Three Point Jumper. Assisted by Sam Logwood. Antino Jackson made Three Point Jumper. Anthony Mathis made Three Point Jumper. Assisted by Antino Jackson. Troy Simons made Layup. Assisted by Antino Jackson. Anthony Mathis made Jumper. Assisted by Antino Jackson. Sam Logwood made Layup. Assisted by Chris McNeal. Vladimir Pinchuk made Layup. Assisted by Antino Jackson. Antino Jackson made Three Point Jumper. Assisted by Joe Furstinger. Joe Furstinger made Dunk. Assisted by Anthony Mathis. Troy Simons missed Three Point Jumper. Dane Kuiper made Three Point Jumper. Assisted by Antino Jackson. Joe Furstinger made Jumper. Assisted by Antino Jackson. Antino Jackson made Two Point Tip Shot. Chris McNeal missed Three Point Jumper. 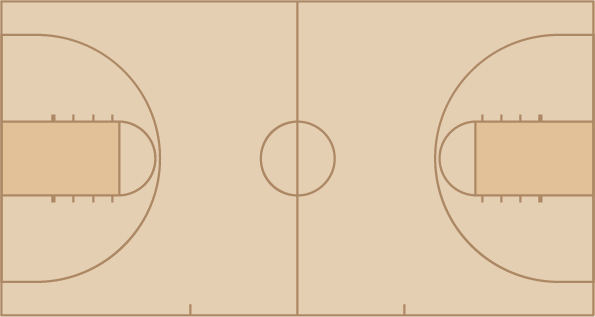 Makuach Maluach made Layup. Assisted by Dane Kuiper. Anthony Mathis made Layup. Assisted by Antino Jackson.